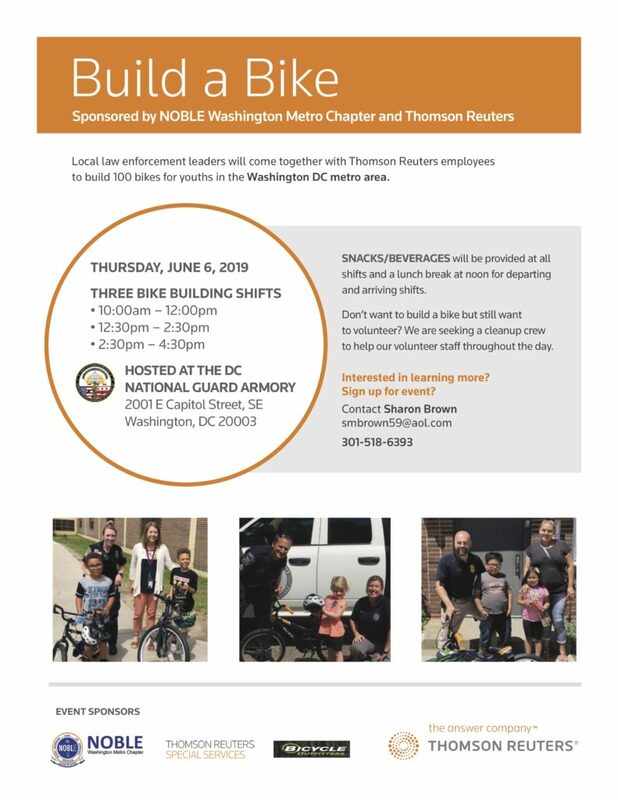 The Build A Bike project is being sponsored by the NOBLE Washington Metro Chapter and Thomson Reuters. The event will take place on Thursday, June 6, 2019 at the DC Armory, 2001 E Capital Street, SE, Washington DC. The goal of the project is to bring together DC, Maryland and Virginia law enforcement, Thomson Reuters employees and members of the community to build 100 bicycles for the youth in our communities. A bicycle is a great way to get to local parks and recreation programs, explore the natural environment and get some exercise.